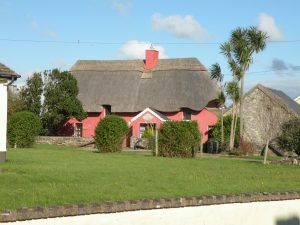 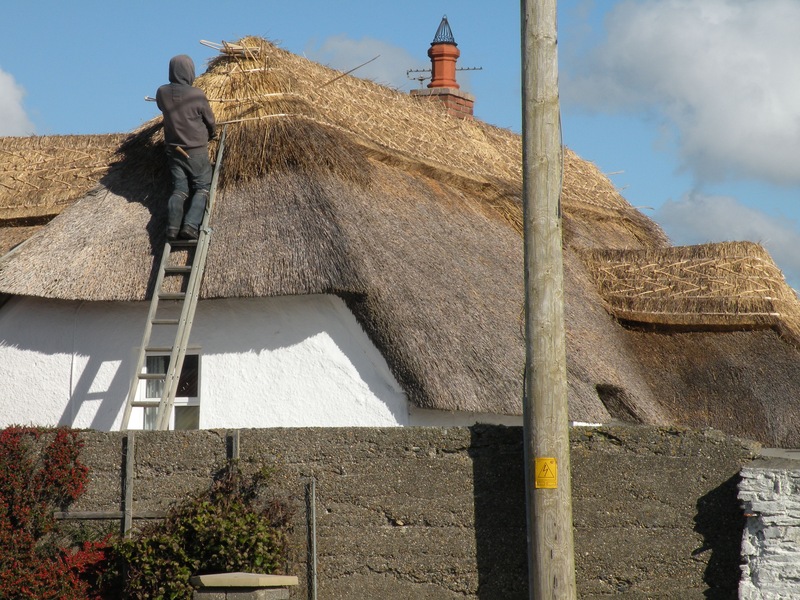 Thatching is an environmentally friendly way to put a roof over your head. 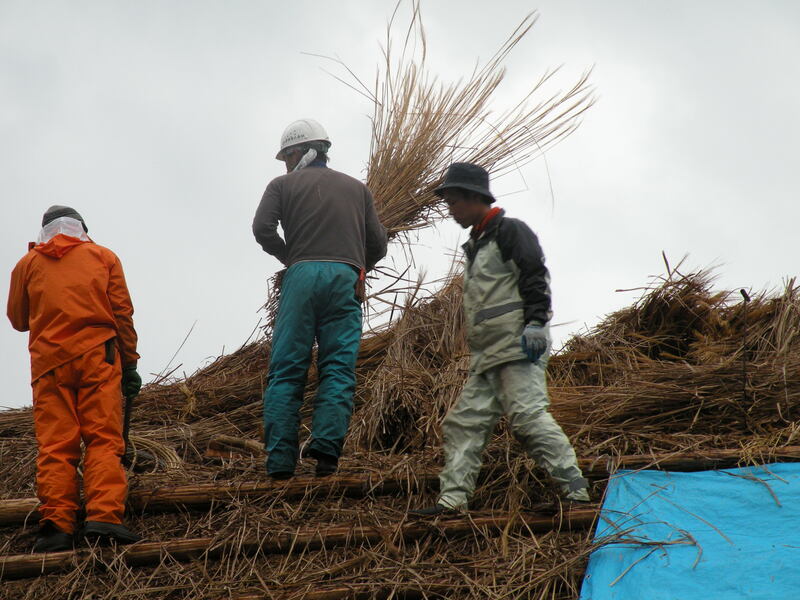 It is done with local materials and lasts a surprising long time. As in most places thatch was replaced with conventional roofing to show status, get rid of the bugs that live within thatch or to appease the insurance company. Some samples of Irish thatch. 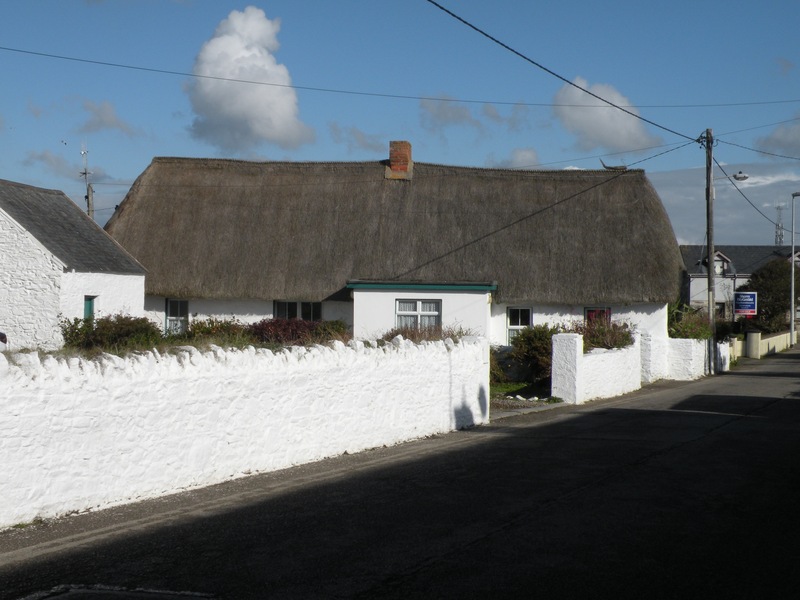 These are finished roofs of homes in Killmore Quay. 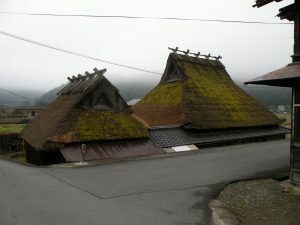 From my trip to Japan back in 2009 I went to a village outside of Kyoto that still work in the dying practice of thatching roofs. 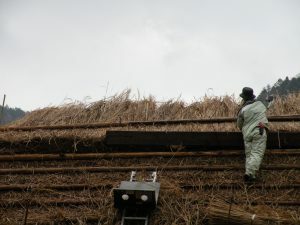 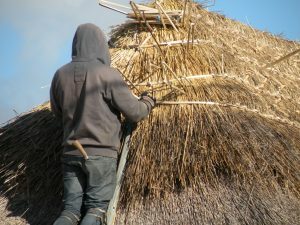 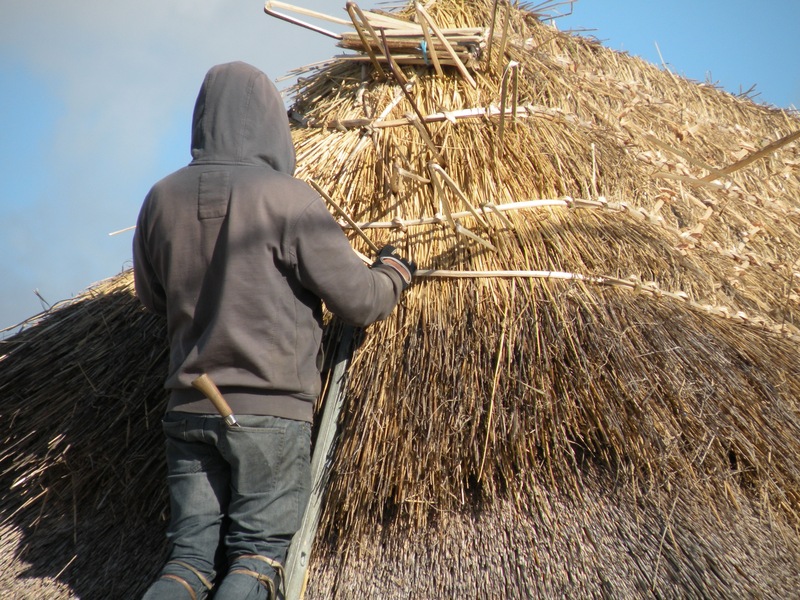 In comparison I marveled at the practice of the Irish to give their roof appealing cuts to go around obstacles and the amount of men and machinery that is used in thatching in Japan.